This Indonesian batik print is so inviting, you can almost feel the island breezes. 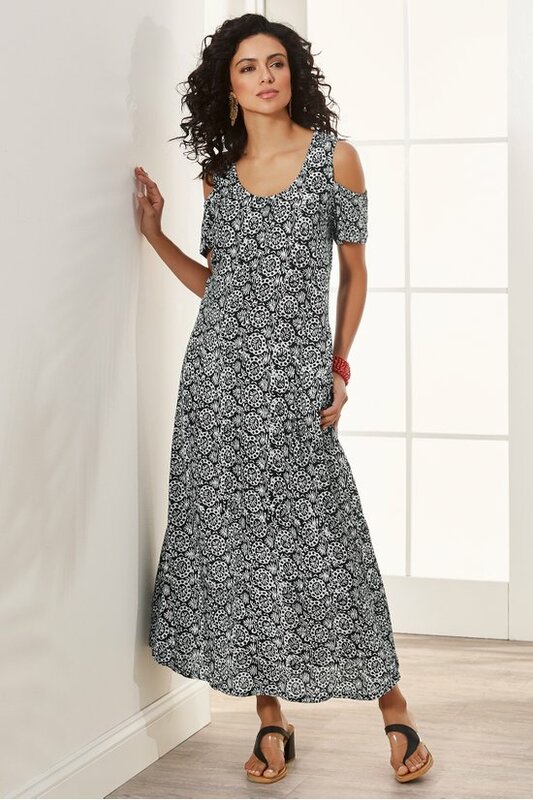 Maxi-length with peek-of-shoulder short sleeves, on-seam pockets, and clean waist for a fluid, A-line look. Misses 52" long.